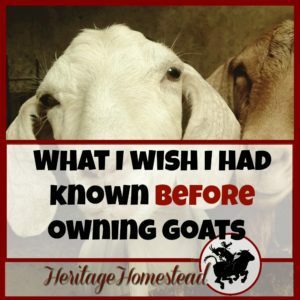 How will my goats fair in the weather they live in? This is the most important question that you need to ask, no matter where you live. I live in Montana where each winter our temperatures plummet into the negatives. Winter lasts, literally, all winter long. I think the only month that it hasn’t snowed in my area is July. The winter of 2017/18 was said to be the worst winter since the winter of ’78. And yes, it was quite miserable. It was bitter cold and it almost never ended. And the winter of 2019 brought on windchills of -30’s. Not fun for people or animals alike. But it’s not just the really cold that will affect goats, it is the wide swings in temperature. It is quite normal in the span of a few days for the temperatures to go from 50°F to negative temperatures. In fact, that is exactly what is predicted to happen this next week as the winter gruels on here. Although I’ve never owned goats in another state, I know that many areas have harsh living conditions. Many times the hot climate areas have wide swings in temperature when they cool off at night after an incredibly hot day. These wide swings in temperature are a huge detriment to goats. 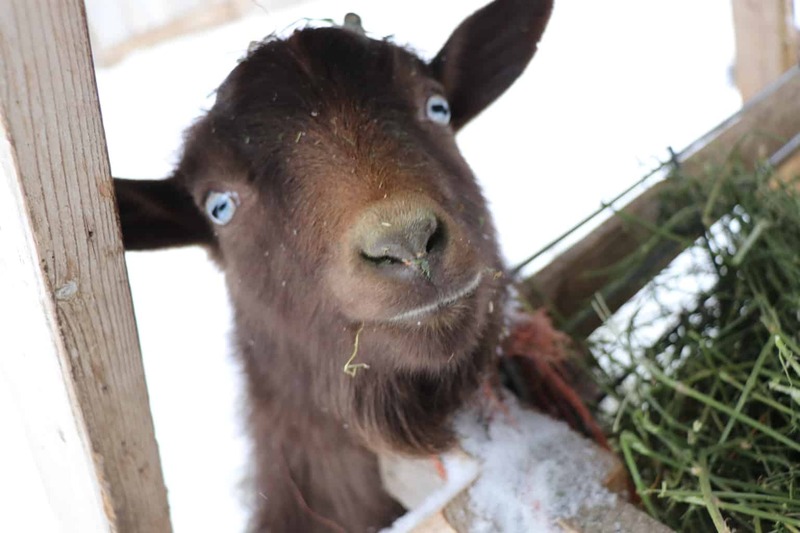 Out of all the ruminants, goats have the hardest time regulating their body temperature. And because of this, they are very, very susceptible to goat pneumonia or watch: Goat Pneumonia (YouTube). If you aren’t familiar with the signs of pneumonia and how to treat it, your goat can be dead within 4 hours. It’s that serious! 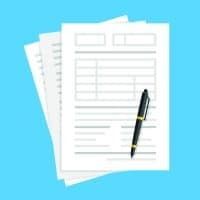 Read the link above about goat pneumonia for all the information and download a treatment plan so you are ready to go! A treatment plan is important to have in hand but it is also so important to have a → goat health and information binder to keep track of all essential information needed for your goats. 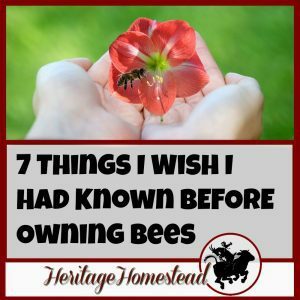 It will help keep your goats healthy and it will help keep you sane! But back to winter. Why, oh why, is it always winter. Or if it’s not winter, I’m preparing for winter. And I’ve raised goats through 10 years of Montana winters. So it is very important for me to have my goats in a very good place as they go into, through and out of winter. And as they come out of winter, it’s kidding season. So they need to be in tip-top shape. 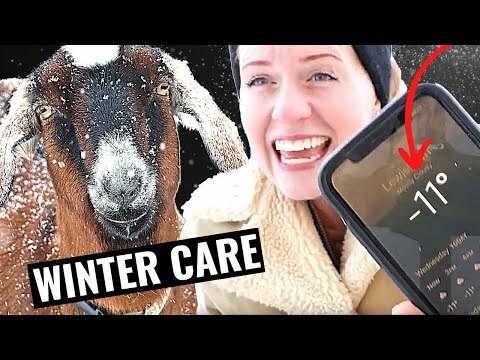 If you live in an area that has cold and rough winters, then get yourself, your goats, and your property ready to help them through winter. This list below is important to think about and have in place. A shelter will be the most important aspect of keeping goats safe, secure, warm, and dry. 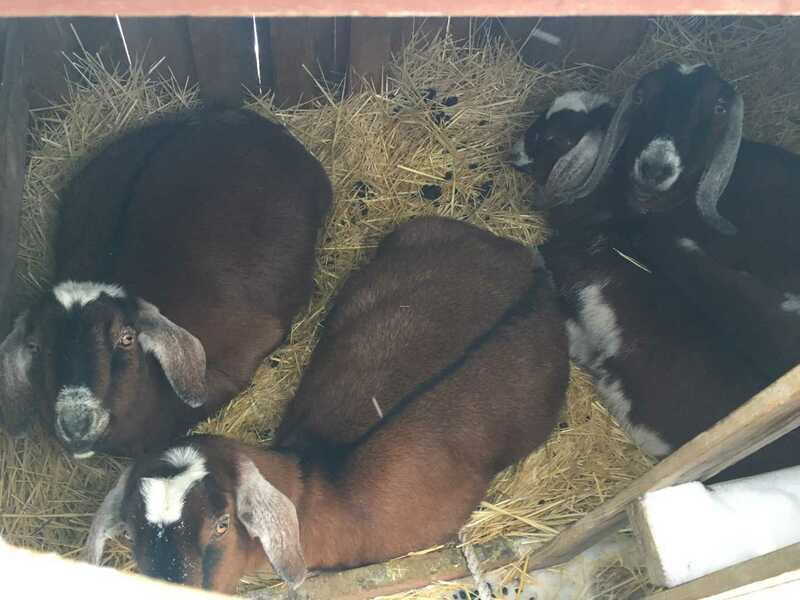 If you are unsure of what you would like to build and use for your goats, you can take a look at these very easy, inexpensive goat shelters that are made of pallets: DIY Pallet Shelters and Double Sized Pallet Shelter. 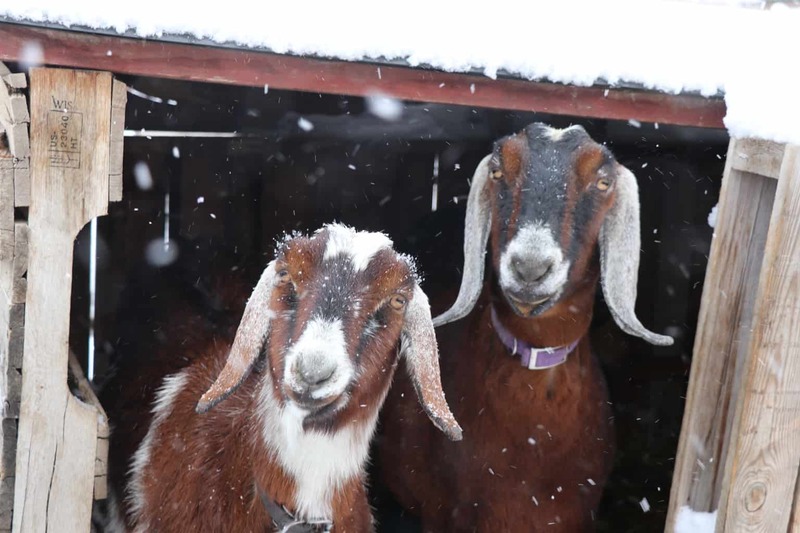 But truly, your goats need to be out of the elements: wind, rain, snow, and hail. To give you an idea of my setup, I have a large barn that contains my milking area and for a majority of the year it houses the hay and keeps it dry and mold free. 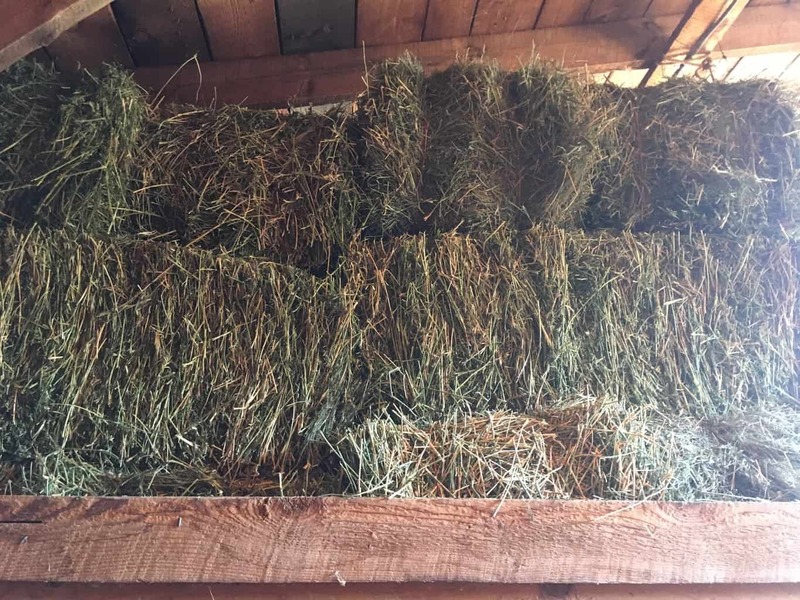 But as the hay is fed and eaten up, it opens up the area that is sectioned off that I use for kidding season. This barn is very dual purpose. But the shelters mentioned above are what my goats use for the coldest part of the winter. When I know the storms are coming, I add a new layer of straw to the shelters so they can nestle down and it covers up the poop and urine. This keeps them off the cold ground and it ends up becoming a deep layer by the end of winter, which will also keep them warmer. Also, there needs to be good ventilation but not drafts. A dry goat is a happier and healthier goat. But what you need to know is that roughage, hay, should be the main food source for your goat. And when it’s cold out, and especially super cold out, you will want to feed your goats extra hay. This extra hay will help keep them warm as their bodies try to combat the cold weather. During this time you DO NOT want to feed them a lot of grain. Grain will only make them colder as their bodies try to digest it. Water is so important to all life. 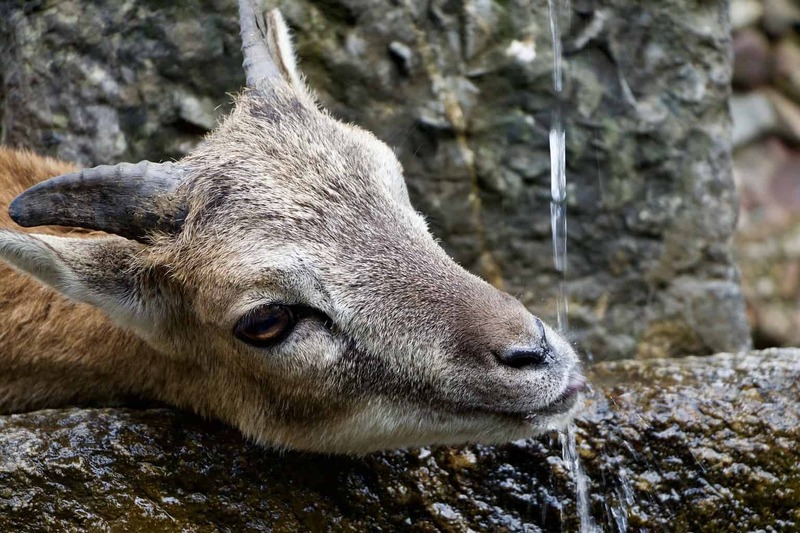 But ruminants especially need water to digest their food. And during cold weather, they are eating the extra hay you are feeding them, then they will need open water available to drink at all times. A dehydrated goat is a sick goat and a sick goat will be susceptible to pneumonia and a whole host of issues. If your water is freezing, it is imperative to buy a water heater to keep your water from freezing. Your goats will be happier as well because they prefer to drink warmer water as opposed to ice cold water. Here is my soapbox. Nutrition is the absolute most important aspect of owning goats. You have to give them the vitamins and minerals their bodies need to function properly. And if their bodies are nutrition healthy, they will be able to handle cold weather in a much better way. 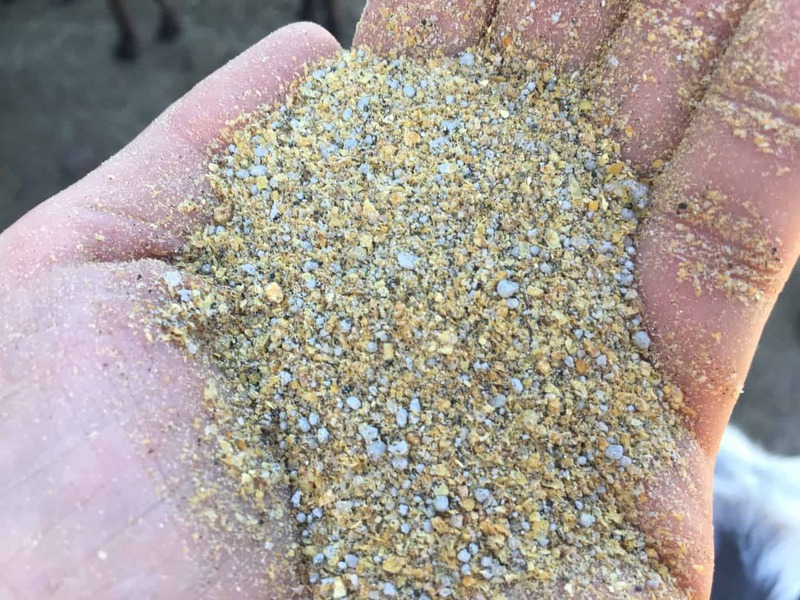 If you don’t already, you need to have loose minerals out for your goats. Keep them filled up even during the winter months. So, your main goal is to have your goats in optimal health. Your focus will be nutrition. But you will continually be looking at and observing your goats. You will be watching their eye color and making sure it’s bright pink and making sure that there are no signs of anemia. You will be watching their coat health and color and the tips of their tails to make sure that there are no signs of copper deficiency. Read more about copper and how important it is to your goat’s health here: Complete Copper Guide for Goats or if you would like to watch the information about copper: Copper Guide for Goats (YouTube). 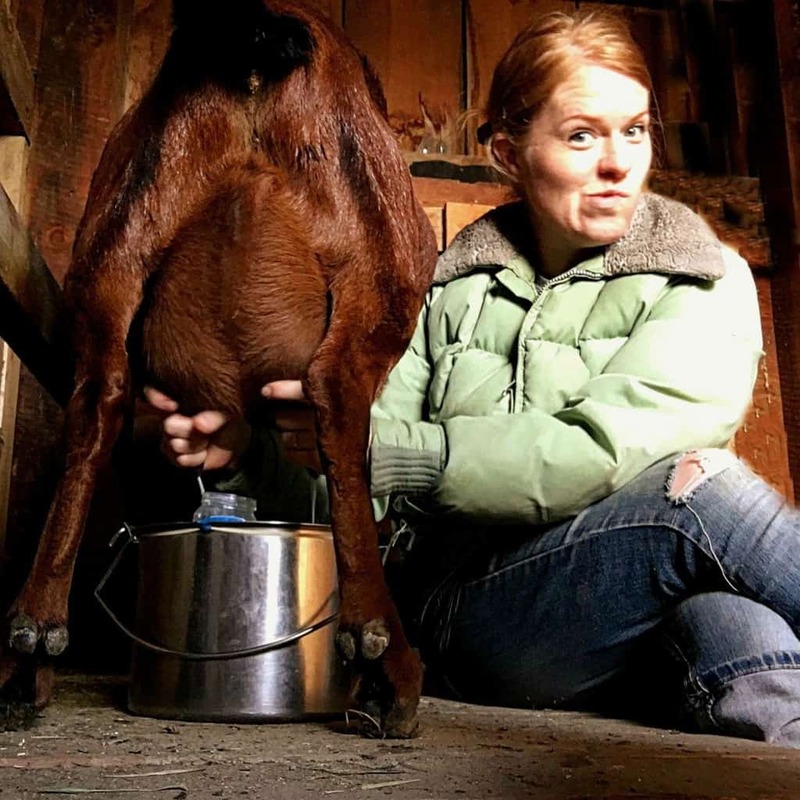 Copper plays a major roll in how healthy and thick your goat’s hair is. And in the winter, that is very important! You also want to make sure that your goats are going into winter in an excellent body condition. You do not want them skinny going into winter. So be aware of that as you end summer and go into the fall months. If they are looking skinnier than they should be, begin to feed them more to help them gain more weight before winter. 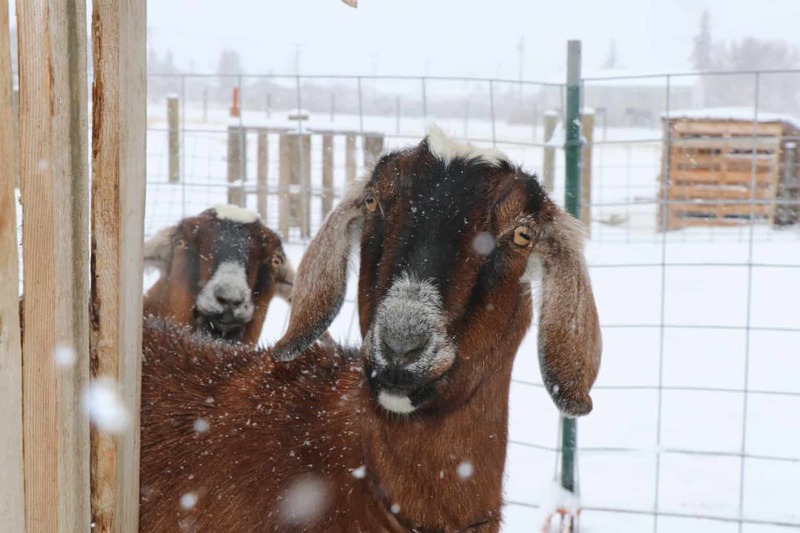 During the bitter cold storms, your goats will probably hunker down and not move around much. But during the warmer winter days, encourage them to move around and be active. That may mean placing the feeder in an area where they need to walk to get to it. Or opening up a gate into a smaller pasture so they can move around in a larger area. Goats in winter still need to be as active as possible to keep up their muscle health and strength. Although already mentioned under the goat health section, it is so important to mention this again. The most important role you play in your goat’s life is one of an observing (and loving) caretaker. 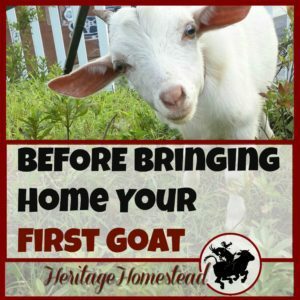 Every time you go out to see and feed your goats, you need to look at each one of them. Touch them, watch if the are eating, notice how they are pooping, looking into their eyes and if you do, pull down their eyelids, and watch for any abnormal nasal discharge. If you notice ANYTHING abnormal, take out that thermometer and take their temperature and assess from there. The sooner that you can diagnose and treat an illness, the more likely you will be able to effectively help your goat. 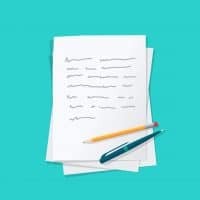 As always, there is the list of what you shouldn’t do. 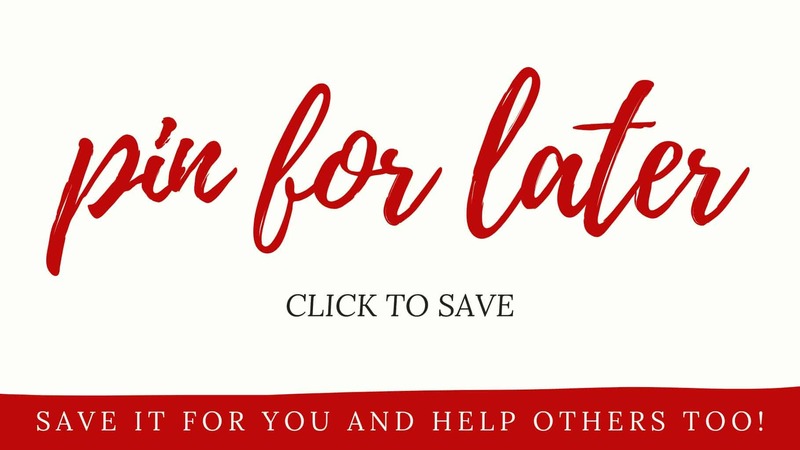 Winter, at least up north, seems like it will last forever, so you will want to make sure that you are minimizing mistakes that can be so detrimental in the long run. Do not feed a lot of grain on really cold days. Do not feed grain right before a goat will bed down for the night. If you do feed grain, feed it in the early part of the day. Do not use heat lamps. You do not want to cause your goats to lose their coats because the barn is too warm or they are laying under the heat all the time. Without a winter coat, your goats will not handle cold well. Do not use sweaters or winter coats on your goats. This is like using heat lamps, it will cause them to lose their winter coats and that can be dangerous. Do not seal up shelters airtight. They do need proper air flow. Do not leave a goat to lie down on concrete or frozen, bare ground. These will only make them colder. They need to have deep bedding to keep them off the cold ground. It is possible to raise goats in bitter weather. You just need to know how to help them through it. It’s an important role to play for your goats. You can do it! 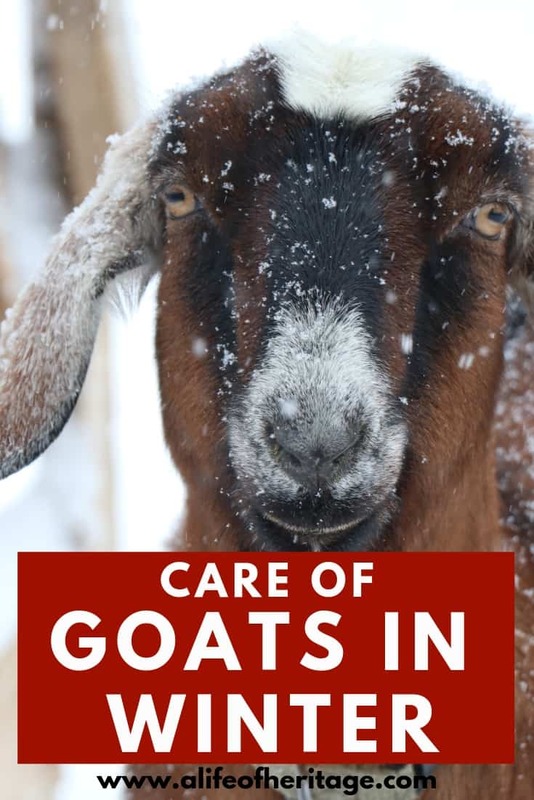 If you are busy with work, goats, homesteading, and kids, then you definitely need the Goat Health and Information Binder to keep you organized and sane! « What Do Goats Eat? Your Goat Nutrition Guide!